At the most important moments in your life, people want to know who you are. Think about it: school interviews, job interviews, campaigns, major business meetings, even dates. These situations all have one thing in common. Your authentic stories help you reveal who you are. Stories help you connect with others and make the difference in the decisions that other people make about you. The challenge is learning to tell your stories authentically. So much of what people learn about persuasive writing in schools falls short of what real people are looking for in real interactions, where they want to see and believe who you are. That's where StoryBuilder® comes in. StoryBuilder is a patented web-based software that helps you quickly and easily remove the obstacles that prevent you from telling authentic, high-impact stories. It walks you through the process of finding and shaping stories that reveal who you are. Storytelling is an innate human skill, a set of muscles that get better and better as you use them. StoryBuilder works like a coach helping you tell the stories only you can tell. 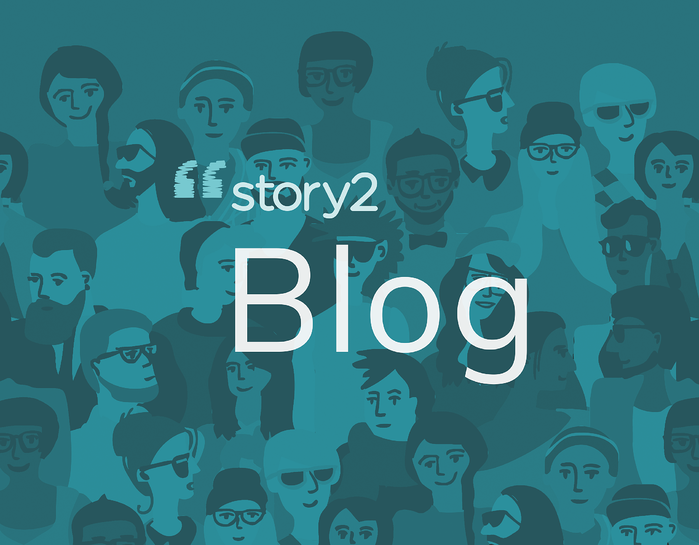 The Story2 Moments Method® breaks storytelling down into five simple, easy-to-learn steps to help you become a better, more natural storyteller. With StoryBuilder, you learn and do at the same time. You can either work through learning modules or jump right in to your own stories. By working with this software coach, you learn to tap back in to the natural joy of human storytelling. Find Stories: StoryBuilder begins by asking you to choose a trait that you want to illustrate: choose leadership, compassion, insight, creativity, or add your own trait. You then create a short description of an experience where you demonstrated that trait. Focus In: StoryBuilder then helps you distill your experience into a specific moment. An experience is a general, broad scenario, such as leading a group. A moment is a specific point in time where something happened in the real world, such as a group meeting where you were able to convince people to make an important change. Tell It Out Loud: StoryBuilder offers speech-to-text to help you capture your stories. Having a transcript saves you time, but the real value comes from being able to tell your story in your own voice. Your stories come out the way that you speak. When you consider that important stories help tell people who you are, there is no better way to communicate than sounding like yourself. Map It: StoryBuilder helps you organize your stories by mapping it out. You probably know that great stories have a strong beginning, a middle, and an end. The beginning catches people’s interest. In the middle, something vital changes. The end leaves people wanting more by ending in the action. With Map It, you organize your spoken draft into this powerful structure. Focus Out: StoryBuilder helps you edit stories sentence by sentence with online guidance. More than the usual spelling or grammar checking tool, StoryBuilder flags language that inadvertently pushes people away. For example, you might have over-generalized, or written about what you thought or felt rather than what actually happened. StoryBuilder’s patented technology flags these potential issues in your written stories and makes specific suggestions for how to improve. Finally, you are never truly "on your own," because StoryBuilder lets you connect with storytelling coaches. You can request personalized, written feedback or live, online coaching from Story2's trained coaching team on the Story2 website. StoryBuilder is designed to be the ideal storytelling coach—helping you when you need and want help, and letting you hone your skills on your own when you’re ready. And the proof is in the results. StoryBuilder distills everything we’ve learned from working with more than 150,000 students and 100 high schools around the world, making it simple for everyone to tell the stories only they can tell — in college admissions, career development and all of life. Find out more with a free thirty-day trial.